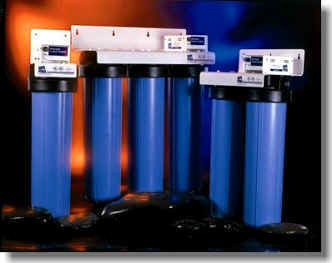 USPW will work with you to customize a well water treatment system specific to your particular water profile. The first step is to have a full spectrum analysis of your water through a testing laboratory (we recommend NTL National Testing Laboratory, and have the kits for taking samples available on stock). Well water Treatment can consist of any combination of the following technologies, depending on your particular water profile: Ozonation, Ultraviolet, Chlorine injection & Carbon Filtration, Conditioning and Softening.